Do you have dry itchy skin? Men’s dry skin needs care and attention. Due to weather conditions and harsh environment, skin gets dry and scaly. Dry skin needs adequate moisturization. 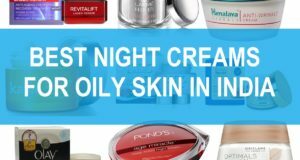 In winters, the problem gets worse so, you must use a cream that is hydrating. To get healthy supple skin, skin care routine is required and sunscreen is an integral part of that. You should use sunscreen daily when the skin is dry or even oily as the major function of sunscreen is to protect the skin from the sun damage. Sun damage can give you premature wrinkling of skin plus those terrible looking brown spots, age spots and lines. Therefore, to protect the skin, sunscreens for dry skin is essential. Sunscreens should be hydrating for dry face. 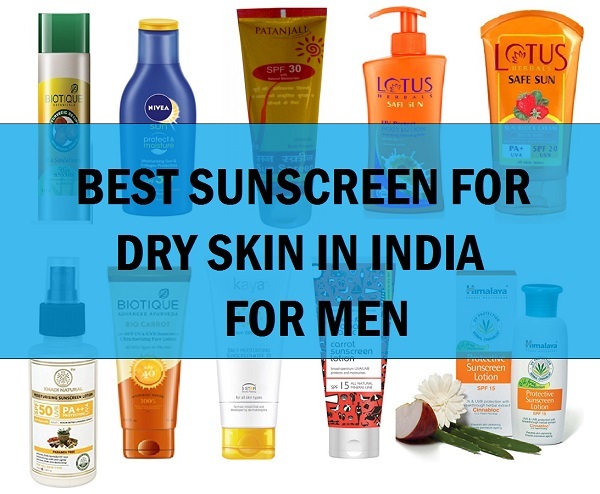 You should choose sunscreen which should be as per the skin type and should also suit the men’s sensitive skin. 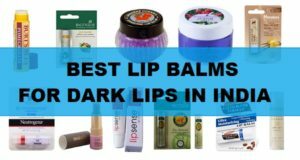 Now, if you are thinking about the best sun lotions for men’s dry skin then this list answers your questions. Here, we have the options of Sunblock for dry to normal skin for daily use or even with the high SPF. 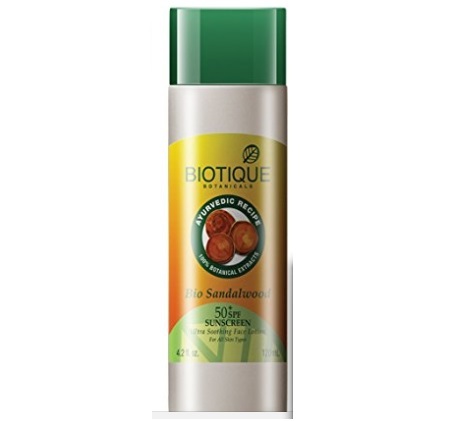 Biotique bio sandalwood sunscreen is a very high SPF sunscreen which is designed for all skin types but the lotion texture is best suited for men’s normal to dry skin. The soothing and nutrient-rich lotion is for sensitive skin too. 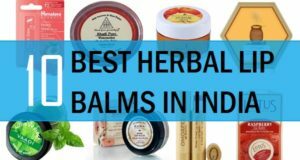 It is made with the pure sandalwood, saffron, wheat germ, honey and bark of the arjun tree. The Biotique sunscreen gives enough protection to the skin to heal the dryness and it protects skin with broad spectrum SPF 50 UVA/UVB sunscreen. It is a water resistant sun lotion for sensitive skin that retains SPF after 80 minutes in the water. So, overall, it is a good sunscreen lotion for dry skinned men. Himalaya Protective Sunscreen Lotion has a double-action formulation that protects the dry men’s skin from darkening. 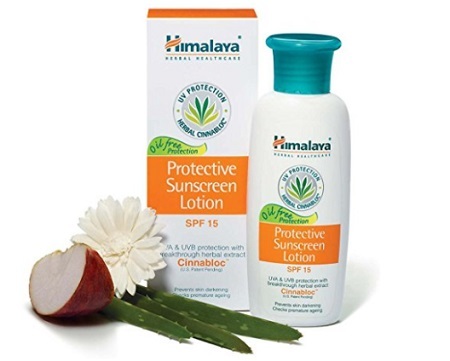 The Himalaya sun lotion has a CINNABLOC that has an active sunscreen agent used in Protective Sunscreen Lotion. It is made with the Spiked Ginger Lily, crab apple, aloe vera and Greater Galangal, which have natural sun blocking properties. Usage of such products protect the skin from the damaging effects of the sun like skin tanning, premature aging and skin cancer. 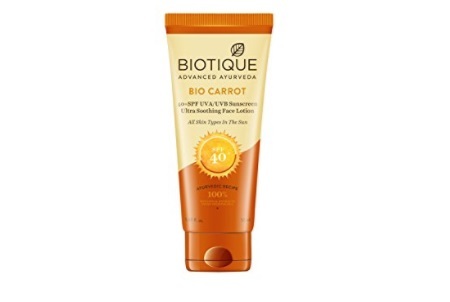 Carrot is rich in carotenes and beta carotenes along with the vitamin A. Biotique Carrot sunscreen is a nutrient-rich lotion is blended with pure carrot oil, extracts of carrot seed and lodhra bark, quince seed and aloe vera. This protects the skin with SPF 40. Having a lotion based texture it can be tried on face and body skin too. The Sunblock lotion for dry skin gives enough of the hydration that men with dry face do not need anything else. Nivea Sun Lotion provides instant protection, you don’t have to wait for 20 minutes before stepping out of the home. This is a sunscreen and body lotion. For winters, it double up as a good body lotion with SPF for men. It reduces the tanning and skin darkening. 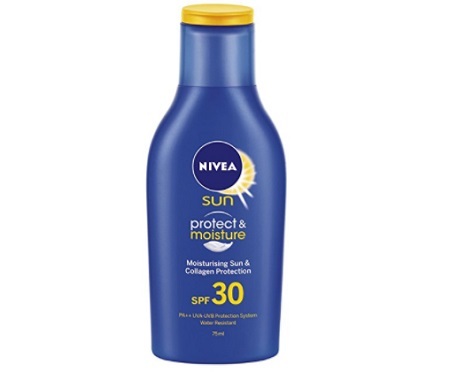 NIVEA sun lotion is a water resistant and sweat proof sunscreen for dry face. It has light and non sticky formula which is quickly absorbed. 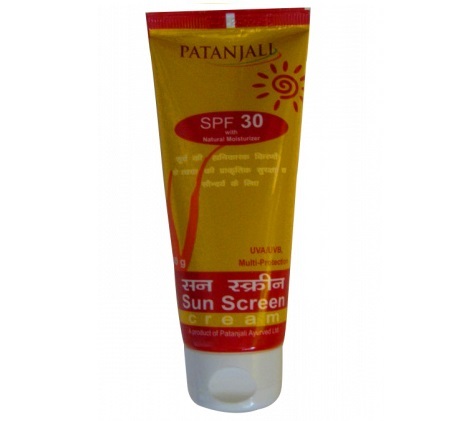 Patanjali Ayurveda sunscreen is loaded with natural ingredients with the capabilities to shield the skin from UV rays. This sunscreen is made from the natural oils which heal the dry skin. Men can use this in the morning like 20 minutes before going out in the sun. This way your sunscreens perform better. The sun protection cream for dry skin, also revitalizes the complexion to make skin fresh, smooth and beautiful. 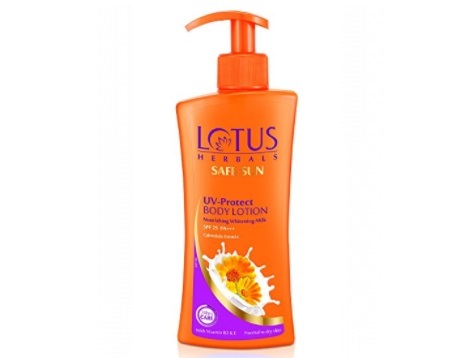 Lotus Herbals Safe Sun UV-Protect Body Lotion is a new and unique sun care product. It is a non-greasy body lotion that nourishes and hydrates the dry skin completely. 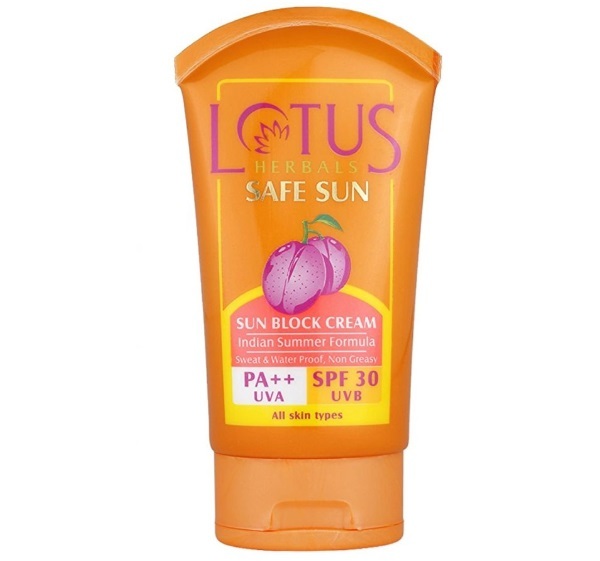 This Lotus sunscreen for men’s dry skin is concoction of Vitamin B3 and E with UV filter which regulates the melanin production. Thereby, the sunscreen prevents skin darkening and gives a glow on the face and body skin. 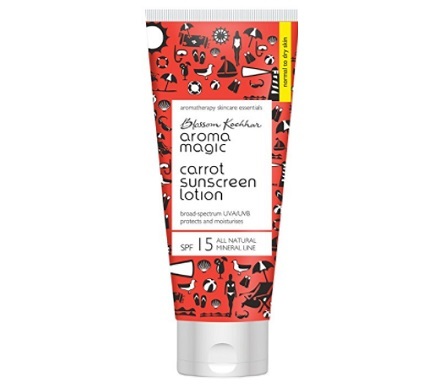 Aroma Magic Carrot Sun Screen Lotion is a 100 percent free of oxybenzone, paraben, harsh chemicals, alcohol and artificial fragrances. The sunscreen gives a natural sun shielding and is loaded with the vitamins B5, C, E that also premature skin aging and photo damage. This is an organic Sun protection cream for normal to dry skin. Khadi Natural Sunscreen is a non-greasy and fast absorbing sun protection lotion. 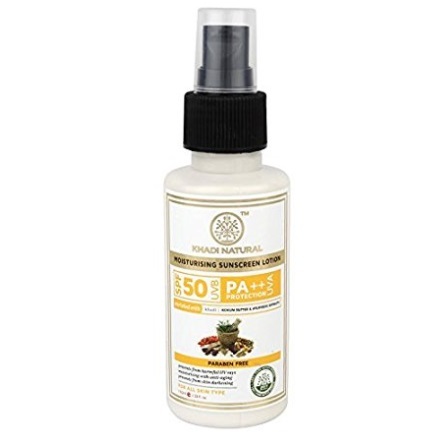 It provides natural yet full spectrum protection against harmful UVA & UBA rays. The natural and botanical actives give an effective sun protection and moisturization. Men who are looking for the daily use sunscreen they can try it. Price of Kaya daily sunscreen is more but it is suitable for dry skin. 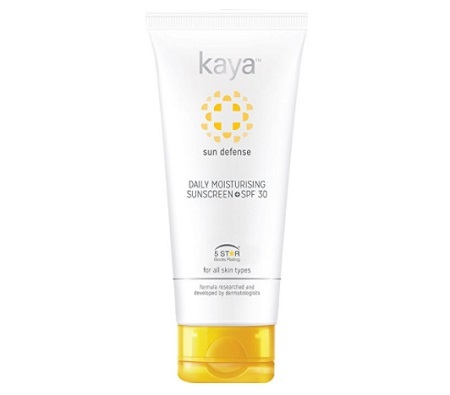 The dermatologist tested formula of this Kaya sunscreen is moisturizing this is why this is suitable for dry sensitive skin. This is a high rated sunscreen for those who like products from Kaya skin care. 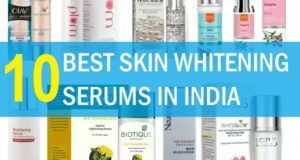 This is the list of the top best sunscreens for dry skin that are easily available in Indian market and online sites. 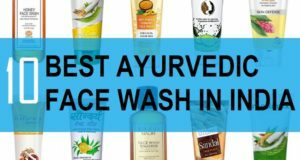 Have you used any of these sunscreen do share your thoughts! !